Tee time bookings accepted 6 days in advance. 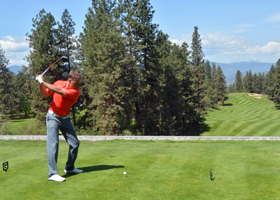 Book Online Or call (250) 861-4240 for tee times. Visit the GBC Golf Academy at Gallagher's Canyon for information and pricing on lessons and golf schools, as well as instructor bios. All rates are subject to applicable taxes, unless otherwise noted.